In order to expand the types and volumes of construction and to develop the industrial equipment fleet, the company has worked with leading European companies as well as producers in CIS countries on the acquisition of new drilling technologies, advanced drilling techniques, modern construction equipment, material handling utensils and unique small-scale mechanizations. This gives the company the possibility of constructing and reconstructing any artificial infrastructures using advanced domestic and foreign technologies. Over the last year CJSC "Transmost" has purchased drilling rigs from the Italian manufacturer-company SOILMEC and acquired a BAUER drilling machine. The acquisition of this equipment will allow CJSC "Transmost" to significantly increase the implementation of their drilling operations. The possession of the most powerful MAN tractor in Ukraine and two unique GOLDHOFFER (a German company) semi-trailers gives CJSC “Transmost” the possibility of moving drilling and other oversized construction equipment without disassembling it from one construction site to another. The total weight of the road train can reach up to 250 tons. Today CJSC “Transmost” owns modern road-building, construction and drilling equipment, as well as a small-scale mechanization and a large fleet of construction machines and mechanisms with, in particular, drilling equipment of German, Italian, Swedish and Japanese origin. Drilling rigs, total - 26 units. Bauer BG 25 - 1 pc. Bauer BG 40 - 6 pcs. Bauer BG 36 - 1 pc. Bauer BG 30 - 1 pc. Bauer BG 9 - 1 pc. Klemm KR807-4 (Germany) - 1 pc. Soilmec SF-50 (Italy) - 1 pc. Soilmec SM-120 - 1 pc. Anchor + jet grouding: Casagrande C7-2 (Italy) - 1 pc. Soilmec SM-401 - 1 pc. Hutte TBK 605 (Germany) - 1 pc. wall in the ground + Root piling: Casagrande C850 NG (Italy) - 1 pc. drilling machines: UBG-LG-1-1123 (Russia) - 2 pcs. SBG-PM 2 "STERKH" (Russia) - 1 pc. Equipment for the drilling machines, I, total - 26 units. mobile platform semi-trailer (130 tons) Goldhofer STZ-VH10 (3+3+4) THP/ET - 1 pc. mobile platform semi-trailer (60 tons) Goldhofer STN-L4-58/80 - 1 pc. mobile platform semi-trailer (107 tons) Scheuerle - 1 pc. Vibratory pile Muller MS50H3 - 1 pc. Vibratory pile Muller MS24HFV - 1 pc. Hydraulic hammer Menck MHF-5-14 with a drive unit PP450 - 1 pc. Diesel hammer - 3 pc. Excavators, total - 29 units. VOLVO (Sweden), EC 210 BLC - 3 pc. VOLVO EC 240 BLC - 5 pc. VOLVO EC 290 BLC - 5 pc. VOLVO EC 140 BLC - 9 pc. EO 5124 (Russia) - 1 pc. VOLVO EW 180 B - 1 pc. Boreks 2101 (Ukraine) - 3 pc. Mini excavator Komatsu PC/4R-2 (Japan) - 1 pc. Hydraulic hammers Atlas Copco - 6 pcs. 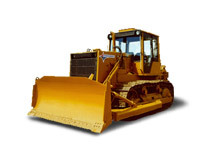 Bulldozers, total - 23 units. KOMATSU (Japan) - 2 pcs. B10-0111-1EH (Russia) - 7 pcs. Cranes, total - 44 units. HITACHI SCX900-2 (Japan) - 2 pcs. 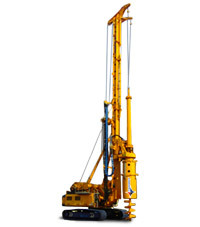 HRD 3010 RDLIFT (Italy) - 1 pc. Mobile cranes - 20 pcs. Cherry pickers - 2 pcs. Transport Trucks - 71 units. Dump trucks - 31 pcs. MAN TGA 41.680 8x4 BLS - 1 pc. MAN TGA 18.480 4x2 BLS (Germany) - 1 pc. MAN TGA 41.660 8x4 BLS - 1 pc. MAZ TGA 643008-060-010 (Belarus) - 2 pcs. Special equipment, total - 22 units. Concrete pump Putzmeister BSA 402 - 1 pc. Concrete pump Putzmeister BSA 1407D - 3 pc. Auto-concrete pump MAN CIFA K41 XRZ - 1 pc. Auto-concrete mixers - 16 pcs. MAN TGA 35/440 8x4 BB (10 cubic m) - 4 pcs. Concrete mixers - 6 pcs. Cement carring truck OMEPS (Italy) - 2 pcs.